We get to wear the "R®"!! 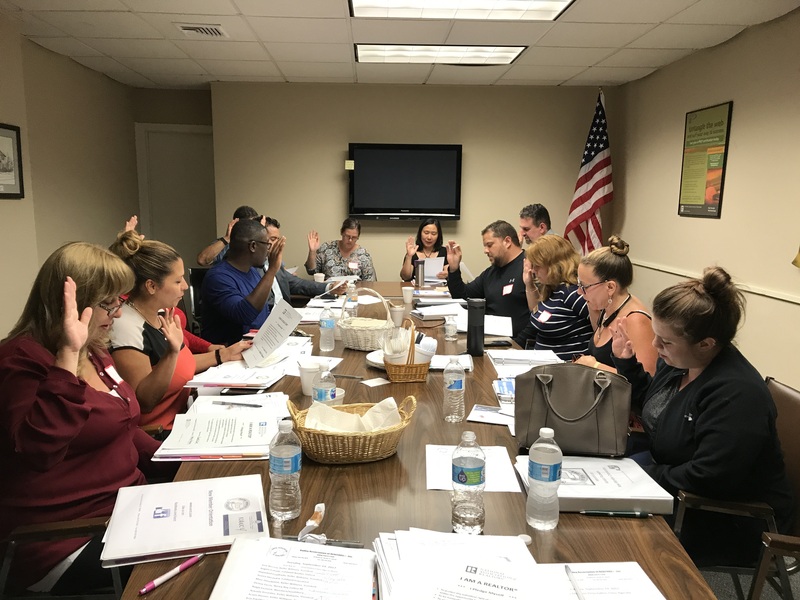 Pictured below some of our newest members being sworn in as "REALTORS®" at the New Member Orientation Class that was held on September 19th at the VAR office. Committee members that teach the class are Rosalie Averill, Chair, Nancy Collins and Kanayo Rupwani. Posted in New Members, VARCT News | 0 Responses to "We get to wear the "R®"!!"